Do you want all the vitamins in one jar? What to do if children don't want to drink healthy green smoothies? We want something cool and fresh in summer! Then let's gather all sorts of herbs and make some tasty water. Took everything that you see in the forest or in Dacha - two, three leaves each. 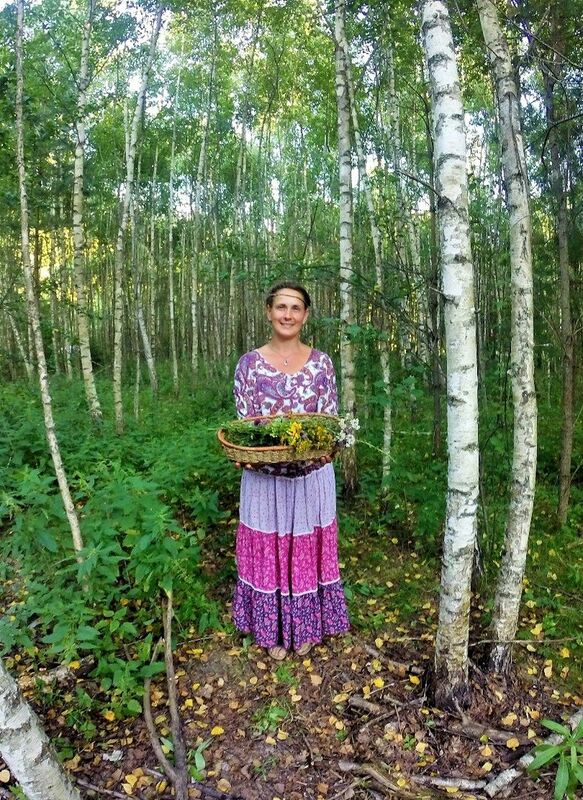 Just to make it right, take birch, horsetail-source of silicon, nettle and slyt (purify blood), dandelion, primrose, spruce needles and pines, tussilago farfara, raspberries, currants, apple, pear, cherry, blackberry, willow-herb, meadowsweet, strawberry and betonica officinális. Flowers differ in flowering: clover, hypericum, oregano, yarrow, tributary, garden mint or field mint. If you see healing aromatic herbs from the alpine slides: take sage, lavender, thyme and others - it will be even tastier. 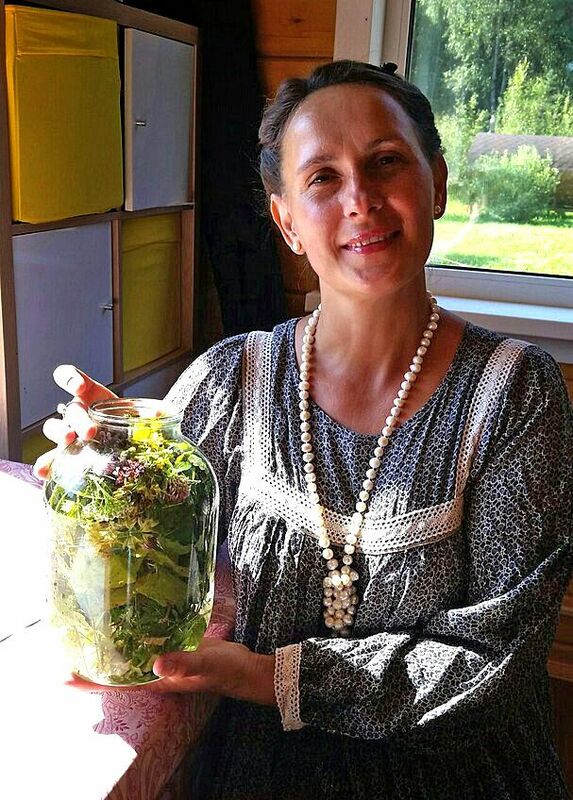 Tramle herbs in hands and put in a jar ... I drink a three-liter jar in one day. Half of jar is packed and filled with water. That's it! After an hour, it can be infused and drunk. And if you want hot tea, fill this bunch of herbs with hot water about 90 degrees and drink to your health !!! Such tea is not so strong, light green and very fragrant. And if you add a couple of spoons of honey to the jar, and cover it with gauze, and put it in the sun for three days - you will have the old Russian drink "Suritsa". And if you put honey, raisins and bread crusts - then it will turn out into herbal kvass.